The Lacanian Tradition is unique among psychoanalytic schools in its influence upon academic fields such as literature, philosophy, cultural and critical studies. 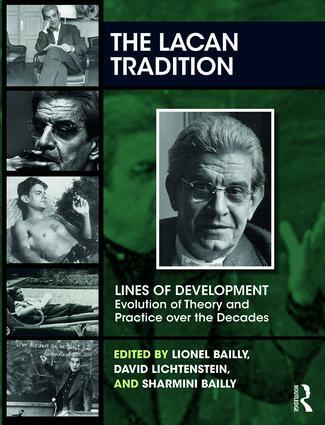 This book aims to make Lacan's ideas accessible and relevant also to mainstream psychoanalysts, and to showcase developments in Lacanian thinking since his death in 1981. Lionel Bailly is a psychoanalyst and a child and adolescent psychiatrist. He is a practicing analyst of the Association Lacanienne Internationale and an Academic Associate of the British Psychoanalytical Society. He is Honorary Senior Lecturer at University College London Psychoanalysis Unit where he is particularly involved in the doctoral school. He trained in medicine and psychiatry at the Salpetriere Hospital in Paris. After a long collaboration with Jean Berges he became head of Sainte-Anne's Biopsychopathology Unit, which he led until moving to London in 2000. He is the author of two books, one on psychotrauma in children (in French) and Lacan: A Beginner's Guide (in English).